In this web log, I introduce you to matters relating to Japan! Kagoshima Prefecture[鹿児島県（かごしまけん）] is one of 47 prefectures in Japan and belongs to Kyūshū[九州（きゅうしゅう）] Region. Kagoshima consists of the southernmost part of Kyūshū Island(one of the four major islands in Japan) and many islands such as Yakushima[屋久島（やくしま）], Tanegashima[種子島（たねがしま）] and Amami-Ōshima[奄美大島（あまみおおしま）]. Kagoshima is adjacent to Kumamoto and Miyazaki Prefectures. Its total area is about 9,187㎢(the 10th largest prefecture) and its population is about 1620,000(in 2017). The climate of Kagoshima is comparatively warm. The prefectural capital is Kagoshima City. The part of Kagoshima in Kyūshū Island mainly consists of two Peninsulas, Satsuma Peninsula in the west and Ōsumi[大隅（おおすみ）] Peninsula in the east. The two peninsulas surround the Kagoshima Bay(a.k.a. Kinkō Bay[錦江湾（きんこうわん）]) and a volcano, Sakurajima[桜島（さくらじま）](1,117m) sticks out from the Ōsumi Peninsula. Sakurajima was originally an island but as a result of the eruption in 1914, it was connected with the mainland. Kurokami Buried Torii[黒神埋没鳥居（くろかみまいぼつとりい）](Kagoshima City): This Torii(shrine gate) was buried by ashes of Mt. Sakurajima when it erupted in 1914. 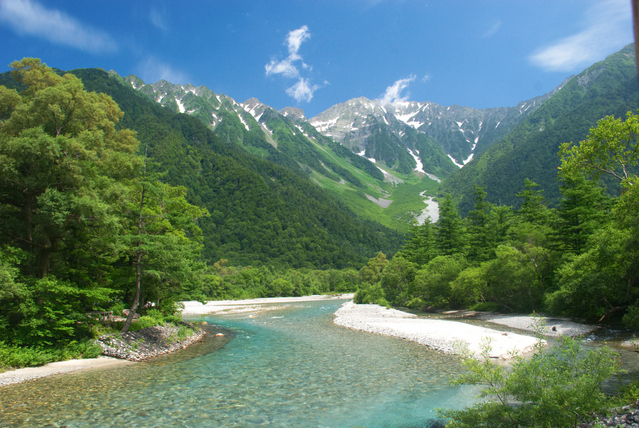 In the north, one of the representative mountains in Kyūshū, Kirishima Mountains[霧島連山（きりしまれんざん）] stretches. 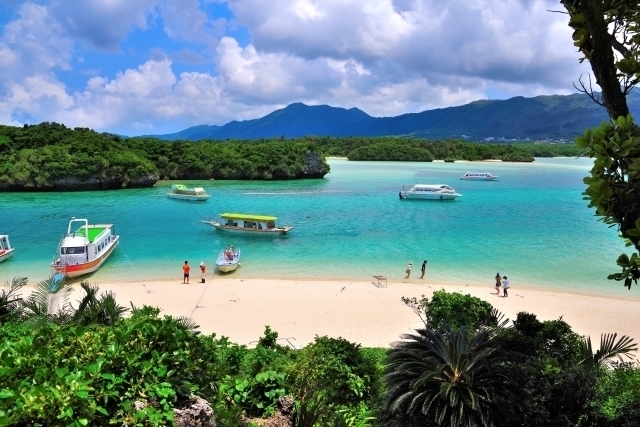 Many of the islands belong to Satsunan Islands[薩南諸島（さつなんしょとう）] which is located in the south of Kyūshū Island. Satsunan Islands is the north part of Nansei Islands[南西諸島（なんせいしょとう）] and the south part of Nansei Islands belongs to Okinawa Prefecture. These islands divide the Pacific Ocean and the East China Sea and they are located in the semi-tropical zone. Before Kagoshima Prefecture was established, the west side was the territory of Satsuma Province, and the east side and Yakushima and Tanegashima were the territory of Ōsumi Province. Both provinces were governed by Satsuma Domain of Shimazu[島津（しまづ）] clan in the Edo Period(1603-1868) and they also took Satsunan islands and Ryūkyū Kingdom[琉球王国（りゅうきゅうおうこく）](present Okinawa) under their control. In 1543, rifle was introduced into Japan by Portuguese who drifted ashore Tanegashima Island. This was the first direct contact with European culture. And in 1549, a Spanish missionary of the society of Jesus, Francis Xavier landed on Kagoshima and introduced Christianity into Japan. Satsuma was originally a poor domain because the land consists of plateaus covered with volcanic soil from Sakurajima and Kirishima(These plateaus are called "Shirasu-daichi[シラス台地]"), and it was not suitable for rice fields. But in the late Edo Period, Satsuma grew into one of the major domains by getting the exclusive right to sell sugar by sugar cane cultivated in Ryūkyū and Nansei Islands, and also by trading via Ryūkyū. At the end of Edo Period, samurais of Satsuma (and Chōshu[長州（ちょしゅう）] Domain from present Yamaguchi Prefecture), who had insisted to overthrow Tokugawa Shogunate and restore the imperial rule, got power and they played the important role in the government in the Meiji Period(1868-1912) after they defeated Tokugawa Shogunate. Statue of Takamori Saigō[西郷隆盛（さいごうたかもり）](Kagoshima City): Saigō was a samurai of Satsuma and contributed to defeat Tokugawa Shogunate, and he held important posts in the early Meiji Period. He is the most famous person from Kagoshima. 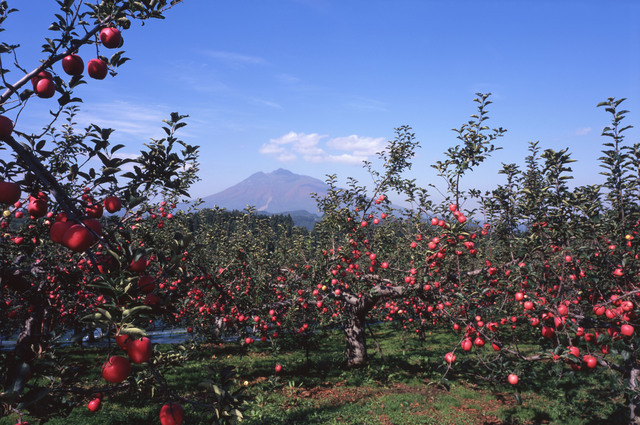 Major industries of Kagoshima are agriculture, livestock farming and fishery. In agriculture, sweet potato, tea, Buntan[文旦（ブンタン）](pomelo) are cultivated. Especially, cultivation of sweet potato is well-known and Kagoshima is its largest production area in Japan. Sweet potato is called "Satsuma-imo[サツマイモ]"(As mentioned above, Satsuma was an old province name of Kagoshima.). Cultivation of sweet potato is suitable for the land of Kagoshima containing volcanic ashes which is well-drained soil and the plant likes that. Sweet potato is also processed into Imo-jyōchū[芋焼酎（いもじょうちゅう）]. It is a kind of Shōchū[焼酎（しょうちゅう）](Japanese distilled alcohol) and is a specialty of Kagoshima. Sakurajima-daikon[桜島大根（さくらじまだいこん）] is also major production of Kagoshima. It is the largest radish in the world and the biggest one weighs more than 30kg. In livestock industry, farming of black Berkshire pigs is popular and the pork of Kagoshima is known as a high brand pork. A city in southeastern Kagoshima, Makurazaki[枕崎（まくらざき）] is known for bonito fishing and the production of Katsuobushi[鰹節（かつおぶし）](dried bonito) is popular. Tanegashima Space Center in Tanegashima Island has a rocket launching facility and it has contributed to the progress of space science and technology in Japan. Kagoshima has many enchanting spots. From Kagoshima City, Mt. Sakurajima is viewed over the sea and you can go to Sakurajima in 15 minutes by ferry. Mt. Sakurajima is an active volcano and continues to emit smoke. Sengan-en[仙巌園（せんがんえん）](Kagoshima City) is Shimazu's villa and garden which was built in 1658 by the 19th lord, Hisamitsu Shimazu[島津久光（しまづひさみつ）]. You can enjoy the magnificent garden with the scenery of Mt. Sakurajima and the sea. In Kirishima Mountains which is located on the border with Miyazaki Prefecture, beautiful crater ponds are dotted and it is good for hiking and climbing and driving. In early June, Miyama-kirishima[ミヤマキリシマ](a kind of azalea distributed in Kyūshū) has vivid pink blossoms. Kirishima-jingū Shrine[霧島神宮（きりしまじんぐう）], which was established in the 6th century(The present shrine was built in 1715. ), is surrounded with forest and is known as a spiritual and healing spot. Mt. Kaimon-dake[開聞岳（かいもんだけ）](924m) in the south of Satsuma Peninsula is not high mountain but it has a very beautiful conical shape. Therefore, it is also called "Satsuma-fuji[薩摩富士（さつまふじ）]", named after Mt. Fuji. In Chiran[知覧（ちらん）](Minamikyūshū City), well-preserved old samurais' houses and gardens remain. You will surely feel like you travel back to the Edo Period. And in Chiran, an air base was built in WWII and pilots belonging to Special Attack Units took off from there to suicide attack(Kamikaze attack). Their photographs and belongings and airplanes are exhibited and you can learn the tragic history in Chiran Peace Museum for Kamikaze Pilots. Yakushima Island was designated as a UNESCO World Heritage site in 1993. It has unique ecosystem because it is an isolated island. In the center of the island, Mt. Miyanoura-dake[宮之浦岳（みやのうらだけ）](1,936m) stands and it is the highest peak in Kyūshū. The coast of Yaku-shima belongs to subtropical climate zone but the top of the mountain belongs to subarctic climate zone. Yaku-zaru[ヤクザル](subspecies of Japanese macaque) and Yaku-shika[ヤクシカ](subspecies of Japanese deer) are representative animals in the island. They are smaller than ones of the mainland. Shiratani-unsuikyō Ravine[白谷雲水峡（しらたにうんすいきょう）] is one of the most popular spot in Yakushima. It is a very fantastic place where laurel forest spreads and fern and moss cover the all ground. It is said that this ravine is the setting for Hayao Miyazaki's film, "Princess Mononoke[もののけ姫]". Yaku-sugi[屋久杉（ヤクスギ）] is the most famous plant in Yakushima and they are ciders living in the place about 500m or higher. Yaku-sugi lives long and a cider called "Jyōmon-sugi[縄文杉（じょうもんすぎ）]" is said to be more than 4,000 years old. Amami-Ōshima Island is popular for a subtropical resort. Rich nature remains and there are well-conserved rain forests and mangroves. In the forests, an endemic rabbit, Amami-no-kuro-usagi[アマミノクロウサギ] lives and this black rabbit has been designated as a special Japanese national treasure. There are many volcanos in Kagoshima. Therefore, there are also many hot springs, for example, Kirishima Hot Springs and Ibusuki[指宿（いぶすき）] Hot Spring. Ibusuki is well-known seaside hot spring and it is famous for sand bath using beach sand warmed with hot spring. Visitors lie down and are covered with warmed sands by the staff. Ibusuki is also a hot spring resort which has tropical atmosphere. Satsuma-age[薩摩揚げ（さつまあげ）]: Satsuma-age is a ground and deep-fried fish meat. It is eaten all over Japan now and in Kagoshima, it is mainly called "Tsuke-age[つけ揚げ]". 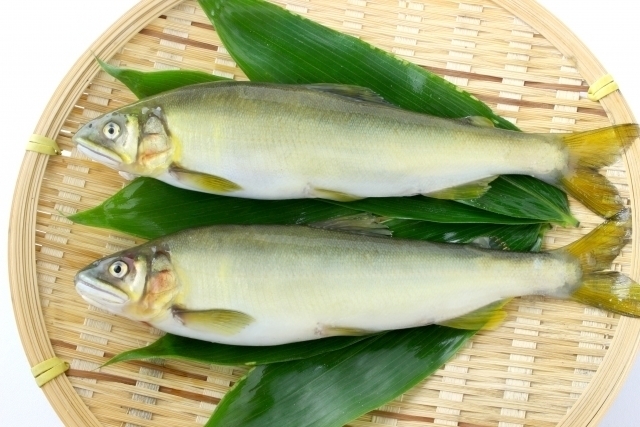 Kibinago[キビナゴ](silver-stripe round herring): This fish is made into sashimi and eaten with vinegared Miso[味噌（みそ）](seasoning made from soy beans). Pork dishes: There are various pork dishes such as simmered pork, spare rib. Karukan[軽羹（かるかん）]: Karukan is a steamed confection made from sweetened yam and rice powder. Satsuma-yaki[薩摩焼（さつまやき）]: It is a pottery made in Kagoshima. There are black ware(Kuro-satsuma[黒薩摩（くろさつま）]) and white ware(Shiro-satsuma[白薩摩（しろさつま）]). Satsuma-kiriko[薩摩切子（さつまきりこ）]: It is a cut glass which had been originally making from late Edo Period to early Meiji Period. It had not been produced for a long time but the prodution was restarted in 1985. Ōshima-tsumui[大島紬（おおしまつむぎ）]: It is a woven fabric made in Amami-Ōshima Island. It is dyed with mud, and has soft and elegant tones. I introduce you to Japanese life & culture around me. "Vida Japonica" is a participant in Amazon.co.jp Associate program.